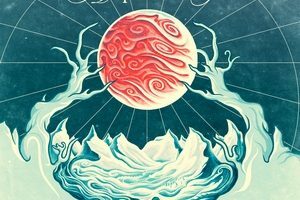 Are we in the midst of a melodic death metal revival? Not in the truest sense of the word, but it does seem like after a period where many held their noses up to the genre, we are getting a fresh batch of younger bands that fully encapsulate what “the Gothenburg sound” was all about, while bringing it up to the present time of course. Aephanemer’s first full-length is the latest album to wow those in need of a melodeath fix. Shifting from a one-man instrumental act with their first EP Know Thyself to a full-blown band for this recording has only added strength to an already intriguing act. There’s some familiarity in the feel of the band, with some nods tossed towards bands such as Dark Tranquillity and Insomnium, but they add their own flair to the mix. The majority of tracks cover a more uptempo vibe, due in part to some outstanding synth usage that couples well with the guitar melodies. “Sisyphus’ Blues” is an early treat, focusing on some real ear-candy on the guitar front, and when the guitars mix with the synths, they really hit gold in the most triumphant way. Marion Bascoul’s vocals hit that melodeath sweet spot, with plenty of raspy gritt, and they avoid the clean vocal “curse” by only using them when the song demands it, such as in “The Call of the Wild” and “The Oathsworn,” and they come off as more folky than poppy. The instrumental roots are not forgotten either, with the swansong “Gilgamesh” providing a true highlight – seemingly packed from beginning to end with melodies designed to drop your jaw and raise your fist. 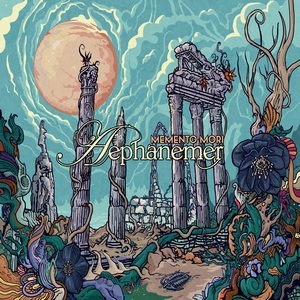 If you like your melodic death metal full of expansive melodies and soaring keys, Aephanemer have you covered. A barrage of fantastic riffs and rich growls (not to mention the killer Niklas Sundin artwork) complete a package that should rightly gain plenty of traction once it releases. Memento Mori is a gem worth seeking out.